The California Health Interview Survey (CHIS) is the largest state health survey in the nation. It is a random-dial telephone survey that asks questions on a wide range of health topics. CHIS is conducted on a continuous basis allowing it to provide a detailed picture of the health and health care needs of California’s large and diverse population. A full data cycle takes two years to complete, with over 50,000 Californians surveyed. Continuous data collection allows CHIS to generate timely one-year estimates. CHIS is conducted by the UCLA Center for Health Policy Research in collaboration with the California Department of Public Health, and the Department of Health Care Services. The National Latino and Asian American Study (NLAAS) provides national information on the similarities and differences in mental illness and service use of Latinos and Asian Americans. The NLAAS is one of the most comprehensive studies of Latinos and Asian Americans ever conducted using up-to-date scientific strategies in the design, sampling procedures, psychiatric assessments, and analytic techniques. 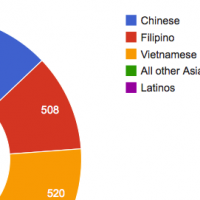 The final NLAAS sample consisted of 2,554 Latino respondents and 2,095 Asian American respondents. 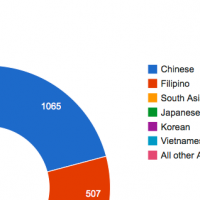 Copyright © 2019 AAPI Data Repository.